Floor-safety marking tape is made of heavy-duty poly vinyl with rubber adhesive that sticks tight and removes cleanly. Tape resists abrasion, moisture, common solvents and weather. Ideal for indoor or outdoor marking of traffic areas, physical hazards, emergency zones and work sites. Bright yellow color makes it perfect for color-coding (yellow for gases). Flexible backing allows application to curved walls, ducts, low-hanging objects as well as floors. 3" core is made of 100 percent post-consumer recycled content and is biodegradable. 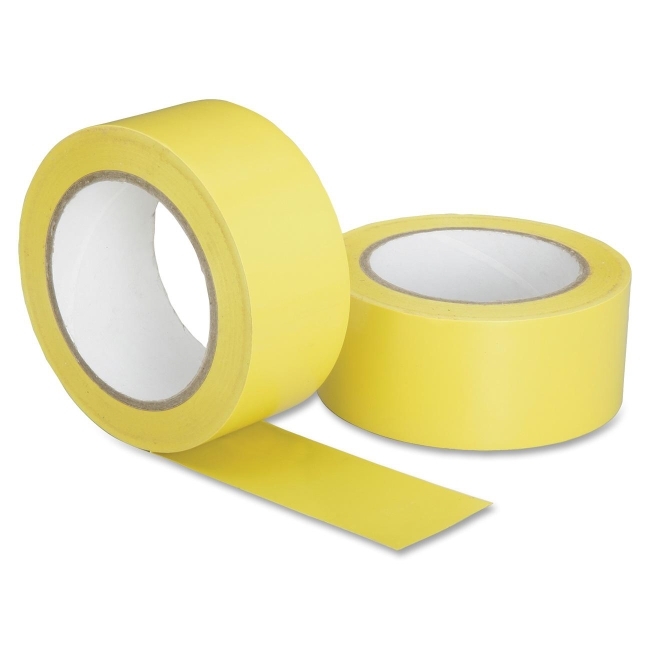 2" wide x 108" long roll of tape meets OSHA color coding requirements and conforms to ASTM-D 3330, 3759, 3652 standards.